Signups for the USA August '13 Old School Tournament are now open! This months map/wad is lazarus1j map04. Players interested in competing can sign up by visiting the registration link below. If you have any questions please contact Dannyboy in the #zd-tourneys channel. Registration ends on the 1st of August. All players are required to submit their demos in this thread. Good luck everyone! Aww man I wanted to sign up but it won't let me. I'm deleting players who arn't familiar to the tournament scene (mostly euro's) done taking chances. Turtles you can still register. Yes this tournament is still a go, i am still sorting through the sign ups. Don't intend to beat a dead horse, or imp, as it were...but, still on? August is about to end and the brackets have not even been set up. Players will assume that this is just dead and I feel that some of the players that signed up for this tournament have already forgotten about it (Just like it happened with the Judas23 EURO tournament). Let's step it up, tournament admins! Not to be a Scrooge, but this is making the zdaemon tournaments look bad. The May CTF tournament was not even completed... heh. P.S. 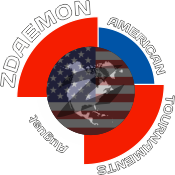 If its help that you need/want then I would gladly be up to admin the USA Tournaments. Dannyboy, if you won't come back before the end of august, you must really restart it some month later. It's up to you. Officer Doofy gone AWOL again? Given the amount of time that has passed, this specific tournament will not happen. It's going to be rescheduled for October. Although a pain, to avoid very old registration entries, a new topic and sign-up will be created in a couple of weeks. If you're still interested in this, make a post here for reference purposes when the time comes.